Are you considering a central vacuum for your Hartford area home? Just like many homeowners in the area, you may find that a whole-house vacuum is more cost effective than portable vacuums. 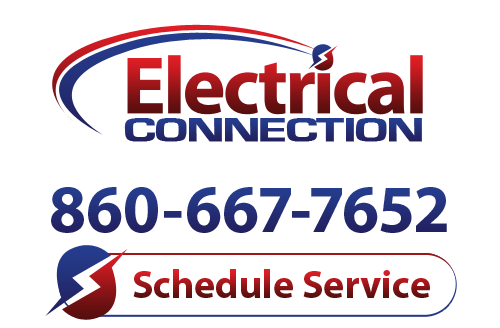 It’s best to ask a professional for advice, so feel free to call Electrical Connection to learn more about the central vacuum systems that we install. Better Indoor Air Quality – Central vacuum systems are cleaner than portable vacuums because they do not re-circulate dirty air. All the debris and dust picked up from the hoses and other attachments are sucked into the inlets in the walls and sent to the main receptacle unit through pipes behind your walls. Easy To Use – Central vacuums are easy to use and convenient. No longer will you have to carry the heavy portable vacuum around your home and up and down stairs. In addition, you don’t have to keep removing the power cord from the outlet and plug it in somewhere else when you go from room to room. The hose and power brushes are inserted into the wall inlets that you help design the locations for instead of having to work around your electrical outlets. Quieter – Most central vacuum systems are quieter than portable vacuums. This is mainly because the power unit is installed in an out-of-the-way location, such as your basement or garage. Adds Value To Your Home – Did you know that central vacuum cleaners can add value to your home? This helps pay for the initial cost. Plus, whole-home vacuum cleaners help protect your carpets and other furnishings because they are gentler and give a deeper clean than most portable models. If you have any questions about installing a central vacuum cleaner in your home, call the Hartford electricians at Electrical Connection.